Since I have plenty of kale growing in my garden and I know there are people out there making kale chips with success I thought I would give it a try. In doing research, I found I should bake at 275 or 350 or 300 and I should see that the kale is dry, I should massage the oil into the kale. I should flip it half way through and the total time in the oven is anywhere from 10 to 25 minutes. I decided to go with 300 degrees, line my sheet with parchment and flip the pan halfway through rather than flip every chip. At halfway through my first batch the chips were already dark and seemed well on their way to burning to a crisp. Maybe they are meant to turn black? My first batch of kale chips: almost burnt to a crisp chips. I did eat a few of them and then tried the next batch at 275 which really wasn’t much better. They were slightly less smoky kale chips. 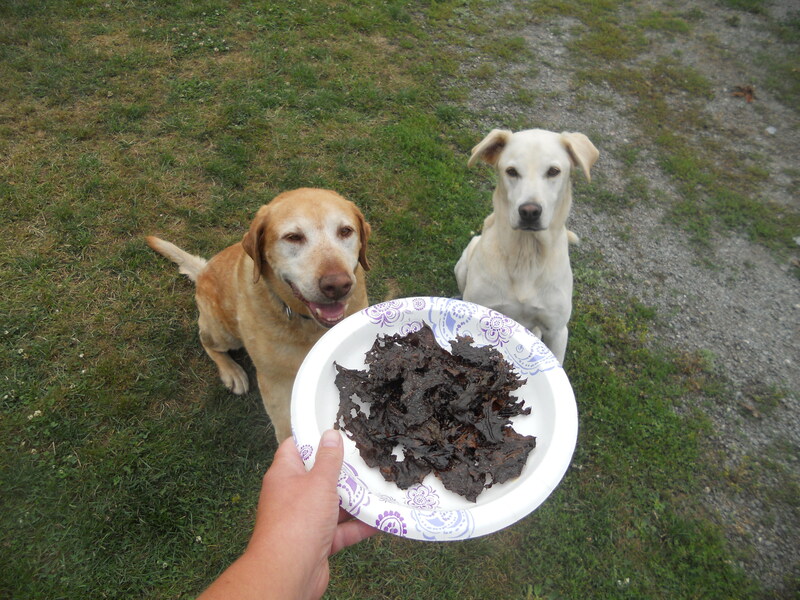 I wondered if the dogs would enjoy these kale chips. 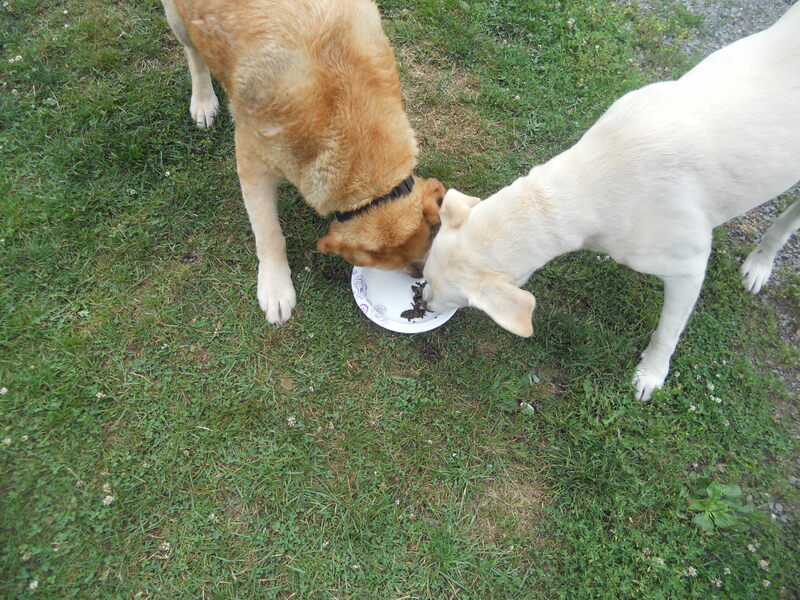 The dogs are usually willing to try anything that might be food. They eat the fallen apples, they eat the raspberries, they eat cherry tomatoes. 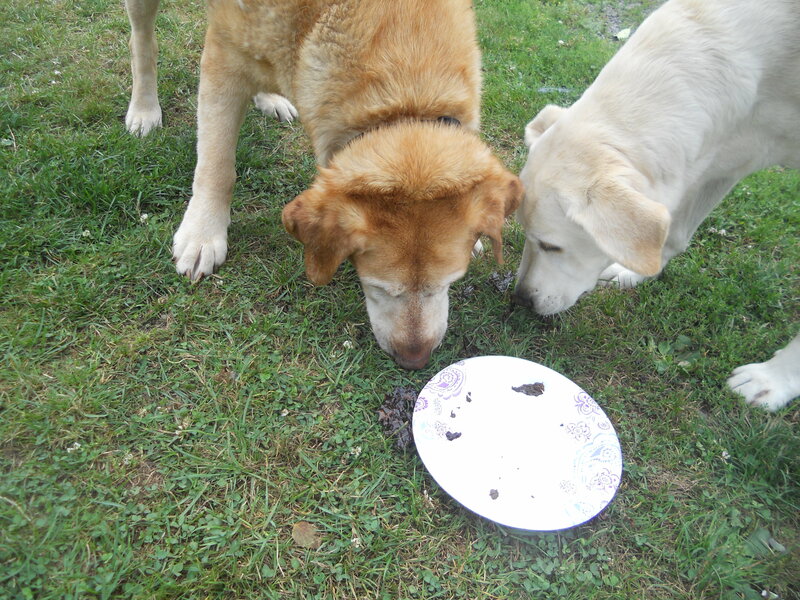 So, outside I went with the plate of chips and the dogs were excited to see and smell them. They sat for their treat and then devoured every last burnt crispy kale chip. Good dogs. I sure hope PETA does not see the dogs forced to consume experimental food.